Disney Legends was a program that originated 26 years ago, and over the years the program has honored over 250 individuals who have made significant contributions to The Walt Disney Company. 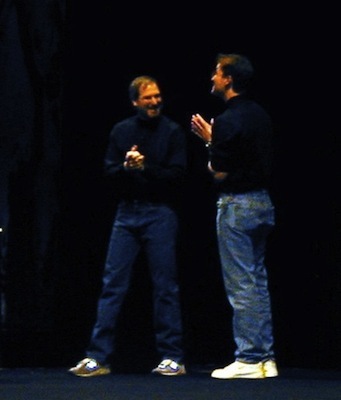 Jobs received the award for his "visionary attitude, and penchant for innovation", his work at Apple, his contributions to Pixar, and his work on the Disney board of directors. The movie's poster focuses, unsurprisingly, on Kutcher, whose resemblance to Steve Jobs is almost uncanny in some shots (shown so far). But as I (briefly) argued last week on The Prompt, I worry that, with such a strong visual resemblance, Kutcher's voice will break the illusion. Camillo Miller of Italian website TheAppleLounge noticed an interesting tidbit about the brief tribute to Steve Jobs Apple published on its website today. The song that plays in the video, the prelude from Bach's Cello Suite No. 1, sounds like F# major. The prelude, however, was composed in G major. There was one classic musician Jobs revered both as a person and a performer: Yo-Yo Ma, the versatile virtuoso who is as sweet and profound as the tones he creates on his cello. They had met in 1981, when Jobs was at the Aspen Design Conference and Ma was at the Aspen Music Festival. Jobs tended to be deeply moved by artists who displayed purity, and he became a fan. He invited Ma to play at his wedding, but he was out of the country on tour. He came by the Jobs house a few years later, sat in the living room, pulled out his 1733 Stradivarius cello, and played Bach. "This is what I would have played for your wedding," he told them. Jobs teared up and told him, "You playing is the best argument I've ever heard for the existence of God, because I don't really believe a human alone can do this." On a subsequent visit Ma allowed Jobs's daughter Erin to hold the cello while they sat around the kitchen. By that time Jobs had been struck by cancer, and he made Ma promise to play at his funeral. As it turns out, Ma plays the first four Bach suites tuning down his cello a full semitone, and there is a specific reason for doing so. In baroque times, instruments like cellos sounded a little different: the musical note A (A440) didn't have a frequency of 440 Hz, but was more around 415 Hz -- something known as the baroque pitch. Among several modern ensembles, there is a consensus to play baroque music a semitone lower than A440. By tuning down the A to the baroque pitch, the prelude from Bach sounds like F# major, while still playing it in the original G major; this helps achieve a more vibrant, "full" sound that is closer to the original and resonates beautifully. The Cello Suites by Yo-Yo Ma are available on iTunes. In many ways, Apple is still sweating the details. 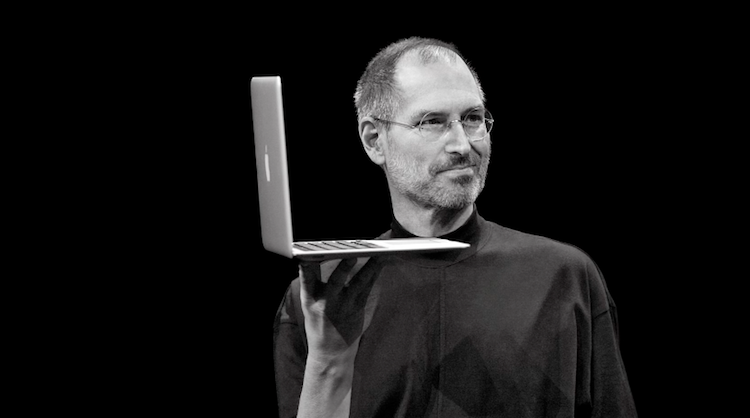 Apple has put together a short video to remember Steve Jobs, who passed away one year ago today. 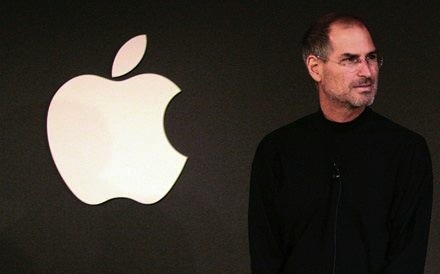 The video is a montage of pictures of Steve throughout his life, many of which show him holding the key milestone products in Apple's history from the iMac to the iPod and iPhone. It's narrated with audio from Steve Jobs speaking at various events throughout his life about Apple, its products and its culture. The video is simply played when you navigate to Apple.com and once it concludes, there is a a short, sombre letter from Tim Cook, remembering and paying tribute to Steve. Steve's passing one year ago today was a sad and difficult time for all of us. I hope that today everyone will reflect on his extraordinary life and the many ways he made the world a better place. One of the greatest gifts Steve gave to the world is Apple. No company has ever inspired such creativity or set such high standards for itself. 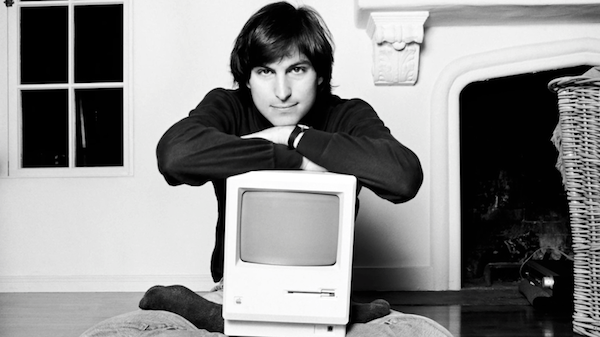 Our values originate from Steve and his spirit will forever be the foundation of Apple. We share the great privelage and responsibility of carrying his legacy into the future. Matthew Panzarino has published a summary of a "lost" Steve Jobs speech from 1983 uncovered in its entirety by Marcel Brown. 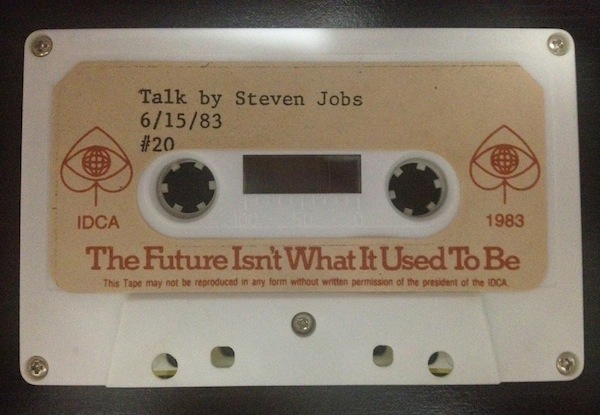 Brown was given a cassette tape with the full recording of a speech Steve gave at the International Design Conference in Aspen (IDCA) in 1983 (photo). During the speech, Steve shared some forward-looking ideas for the future of computing including what would become the App Store and, 27 years later, the iPad. He thought that the software industry needed something like a radio station so that people could sample software before they buy it. He believed that software distribution through traditional brick-and-mortar was archaic since software is digital and can be transferred electronically through phone lines. He foresees paying for software in an automated fashion over the phone lines with credit cards. When these tapes and old video recordings surface, it's easy to dismiss them as "inevitable". It was "inevitable" for Apple to come out with a tablet that looked like an iPad, and it was "inevitable" for software to be distributed digitally in an App Store-like marketplace. Of course, progress itself is inevitable. But I don't think it's that easy -- I don't think we can dismiss innovations as "inevitable" or "obvious". What supporters of the "inevitable" theory are missing is the work and vision and effort of dozens of people that it took to get there. In hindsight, it's easy to look at any product and think it had to be in that way. The speech uncovered by Marcel Brown is the perfect example of how some people, in this case Steve Jobs, have a vision that is only constrained by technology. A vision that, after years of research and design iterations, will become real and, at that point, "inevitable". 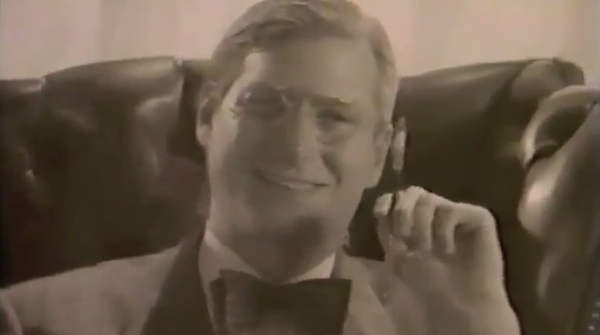 Michael Markman has published an interesting blog post detailing the backstory behind the rare Apple video featuring Steve Jobs as President Franklin Delano Roosevelt. I called Chris in L.A. to outline what we were thinking. War movie. Stock footage from the D-day landings. Chaplin as Adenoid Hynkel hanging on the wall. Mac marketing team in cameo roles. And the topper: Steve as FDR. He said he'd start looking for a director (or maybe he had one in mind). Glenn, Mike, and I marched into Steve's office to give him the pitch. Pretty much the way I outlined it in the previous paragraph. Steve's eyes were sparkling through it all. By the time I got to, "and you as FDR," I had made the sale. In the binary universe of Steve Jobs, something is either a zero or a one. This was a one. Instantly. Definitively. The “1944″ video was aimed at rallying Apple’s sales troops and the Mac division against IBM, which was taking the majority of PC market shares back at the time. Check out the full story here, and the video on YouTube. Network World (via MacRumors) managed to obtain a copy of an old internal inspirational video for Apple employees titled "1944", starring Steve Jobs as U.S. President Franklin Delano Roosevelt. 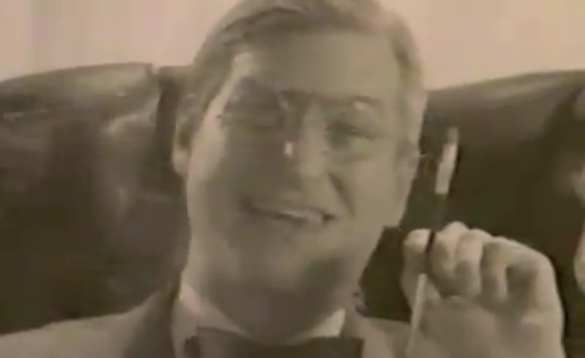 Serving as an in-house alternate version of Apple's iconic 1984 commercial, "1944" was allegedly aimed at rallying Apple's sales troops against IBM. Set as a World War II tale of good vs. IBM, it is a broadcast-quality production (said to have cost $50,000) that was designed to fire up Apple's international sales force at a 1984 meeting in Hawaii. A copy of "1944" was provided to me by one-time Apple employee Craig Elliott, now CEO of Pertino Networks, a cloud-computing startup located two blocks from Apple in Cupertino. Make sure to check out the full video, backstory, and transcript of the entire video at Network World. Ken Segall Remembers Noah Wyle and Steve Jobs’ "Moment Of Truth"
Ken Segall has posted a fun anecdote about Steve Jobs and actor Noah Wyle from 1999, when the two orchestrated a fake keynote opening address at Macworld. So there you have it. It was all a lie. Granted, Steve wasn’t exactly under oath when he offered this testimony, but he did deny it emphatically. Maybe one day we’ll get a rebuttal from an eyewitness to the event. Make sure to check out his post for the full story. Here's a video of the "performance" on stage at Macworld 1999. The Recording Academy has announced its 2012 Special Merit Awards recipients; Steve Jobs, Dave Bartholomew, and Rudy Van Gelder are expected to be formally awarded a Trustees Award on February 11th, 2012, during a special invitation-only ceremony. The Trustees Award is awarded by the Recording Academy's National Trustees to those who have made significant contributions (other than performances) to the recording industry. Steve Jobs transformed the music industry when he unveiled the first iPod in 2001. The iTunes Store was unveiled almost two years later in April, 2003, ushering in a world of digital music that could be immediately downloaded and synced to Apple's portable MP3 players. In 2010, Apple announced that they had surprased 10 billion songs downloaded from the iTunes Store. Steve Jobs was known for his love of Bob Dylan, and Apple recently succeeded on adding The Beatles to iTunes. Steve Jobs was also nominated by NBC News' Brian Williams to be 2011's Person of the Year. "This year's honorees offer a variety of brilliance, contributions and lasting impressions on our culture," said Neil Portnow, President/CEO of The Recording Academy. "It is an honor to recognize such a diverse group of individuals whose talents and achievements have had an indelible impact on our industry." The Recording Academy also announced recipients of the Lifetime Achievement Award category which includes Allman Brothers Band, Antonio Carlos Jobin, Diana Ross, George Jones, Gil Scott-Heron, Glen Campbell, and the Memphis Horns. Formally, the 54th annual GRAMMY awards will be televised by CBS at the Staples Center in Los Angeles on February 12th.